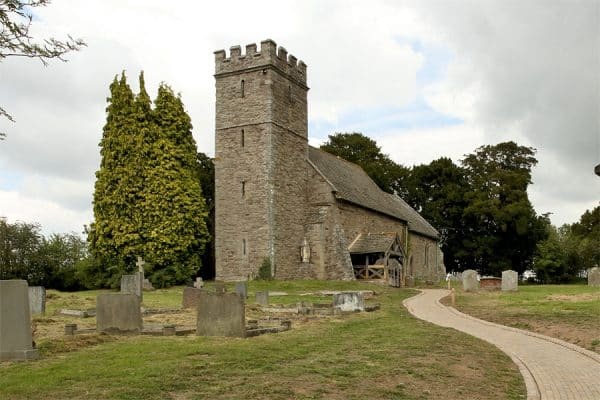 St Andrew’s Church is a Grade I listed building dating from the 12th century. While much loved, a dwindling congregation was making the church unviable as a place of worship. Communion was approached by the New Bridge Community Committee to work with them to design and deliver a unique event space for five parishes which had no public meeting space. 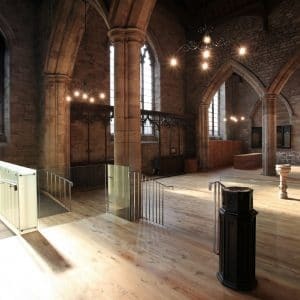 Within a budget of £200,000 Communion and the committee created a multifunctional event space that uses latent heat from the ground and natural water disposal to create a warm, sustainable building that preserves the beautiful historical fabric of the building and has created a thriving community hub and event space. St Andrew’s Church overlooks the River Wye as it meanders its way through the beautiful Herefordshire countryside. 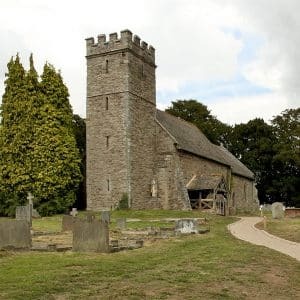 The church dates from the 12th century as its Norman architecture indicates. 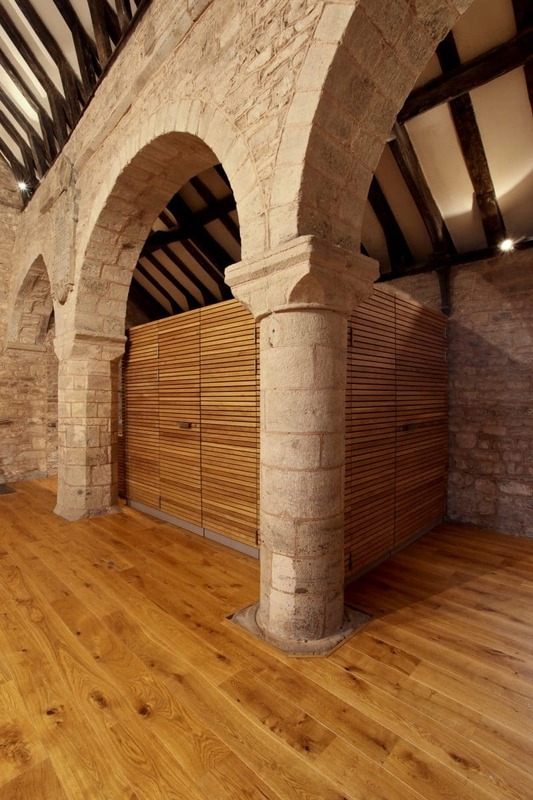 Notable features include the Herefordshire School carvings on either side of the south door and the carved Romanesque door arch. 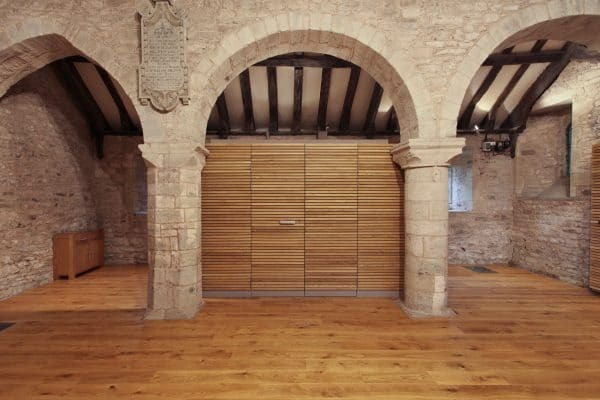 Internally, the building comprises a chancel, nave, north aisle and tower. 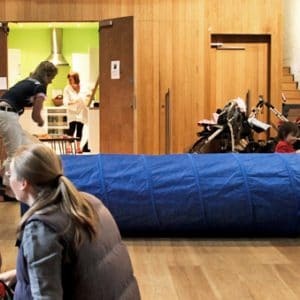 Communion was approached by the New Bridge Community Committee to work with them to design and deliver a unique community event space for five parishes which until then had no public meeting space. After a successful application to the Big Lottery Fund, a grant was obtained to transform the existing church into a multifunctional event space. 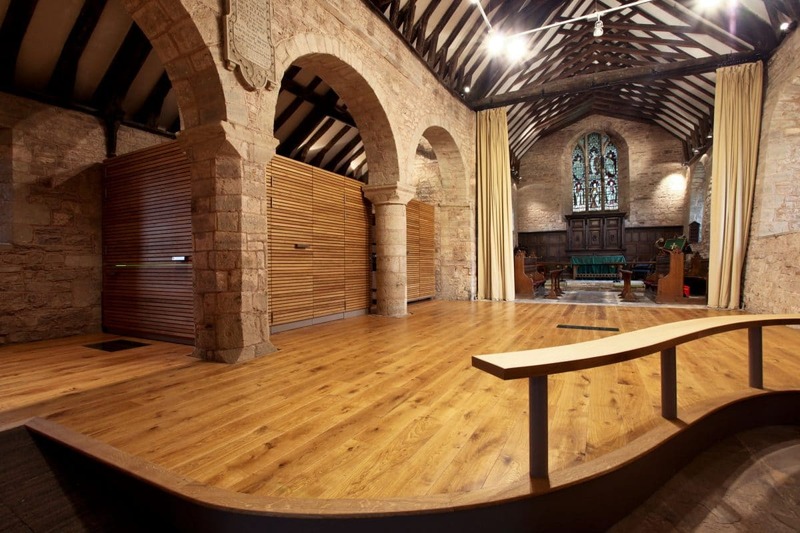 The brief stated the need to create a design to transform St Andrew’s Church into an event space for the community within a budget of £200,000. 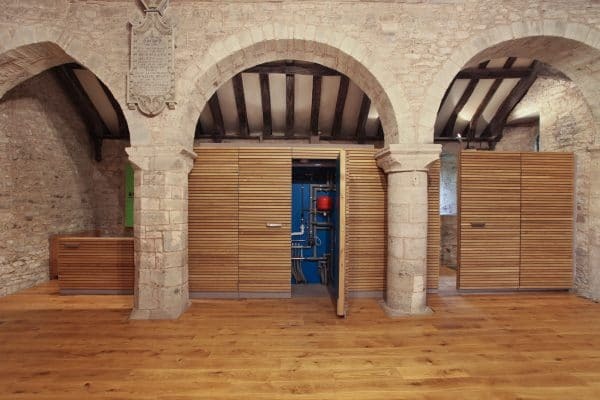 Sustainability was key with requirements to use local materials and craftsmen and provide renewable energy and natural water disposal. 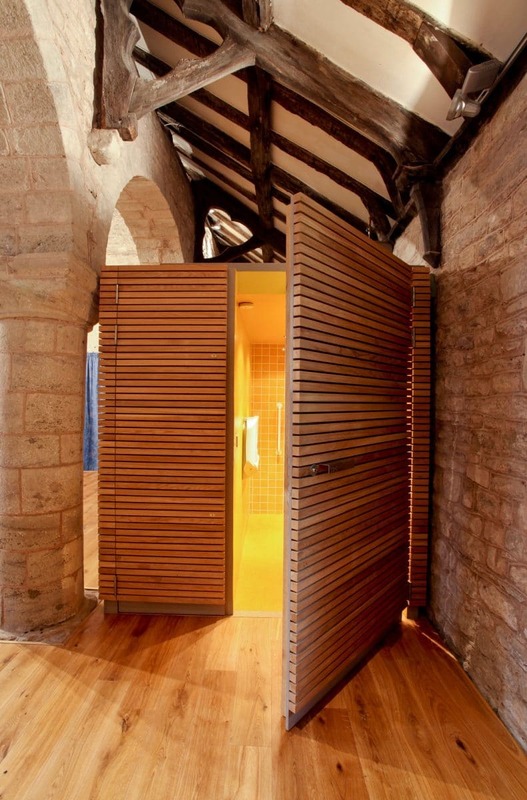 With limited internal space and budget, Communion reduced the build requirements to an absolute minimum, compressing all new architecture into a simple cube and heated floor. 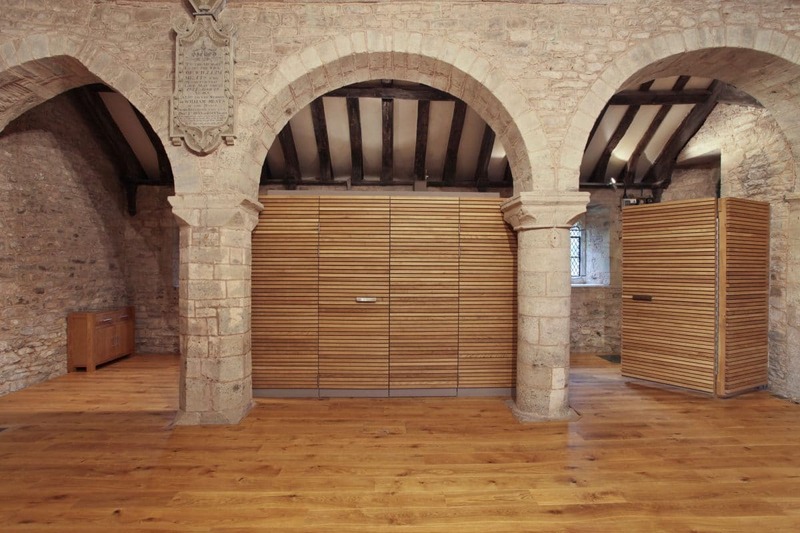 The cube, which is clad in local Herefordshire oak, opens out to provide a kitchen facility and meeting spaces. 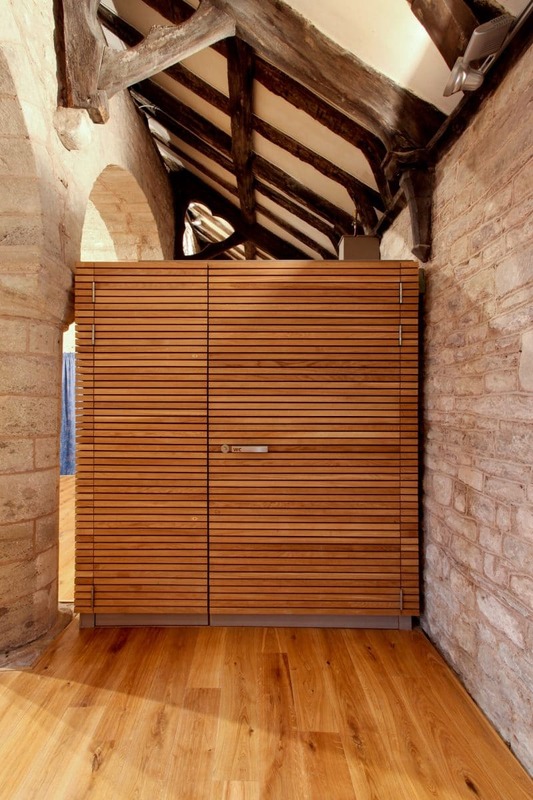 It also houses a universally accessible toilet and the ground source heat pump. 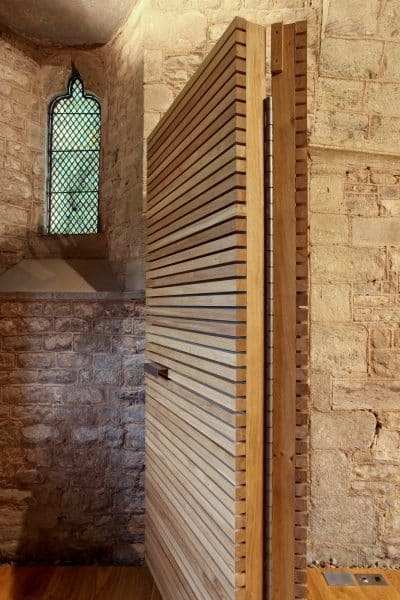 The delight of the design is that the cube can be opened up to create a food production space but can then be closed to restore the sacred space of the church. On a practical level, the solution provides security for the valuable electronic and IT equipment the church stores. 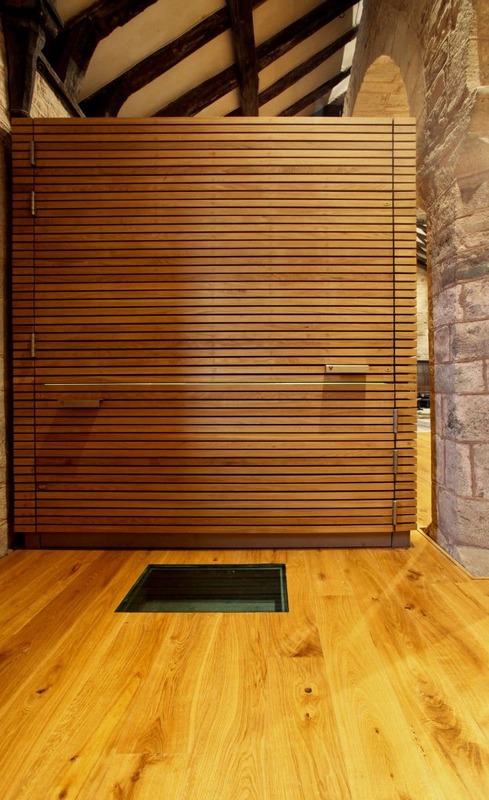 The suspended floor, also in oak, provides heat to the building via an underfloor heating system. It also provides disabled access to the whole building, and protects and reveals the former floor which comprises carved flagstones. The building was rewired, new fire alarms were fitted and internet access was provided. 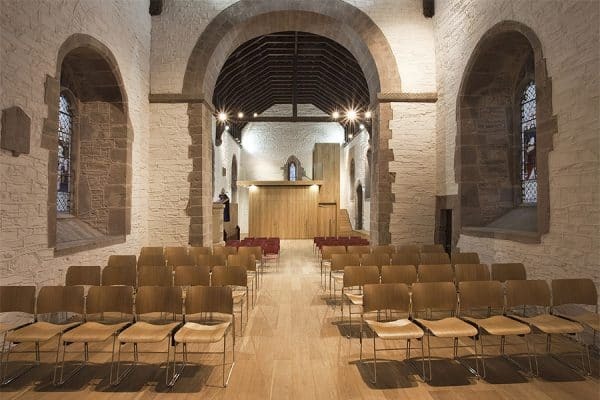 The church is completed by a halo lighting installation and audio visual capabilities linked to a hearing loop that allow films and presentations to be shown. Minimum intervention. The existing church was a much loved Grade I building so developing a design that worked, and was shared by all involved, was important. This allowed the project to obtain support from the DAC and gain ‘faculty approval’ and Listed Building Consent, all to within the tight timescale demanded by the funders. Unlocking funding. The need for the project was clear, but the funding case needed to be argued persuasively. 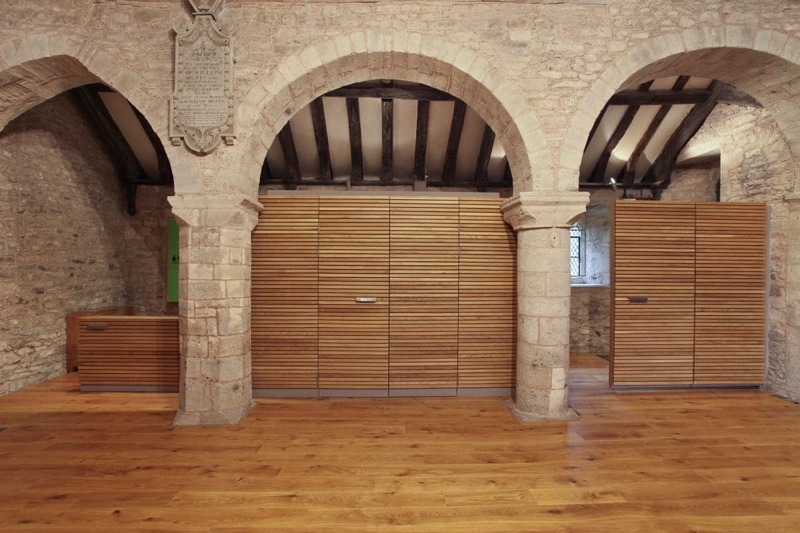 Communion produced all the documentation to fulfil the requirements of the funders. 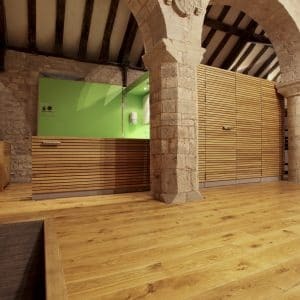 We then administrated the building contract to ensure everyone’s requirements were fulfilled onsite. Multi-useful. The project needed to fulfil many requirements. 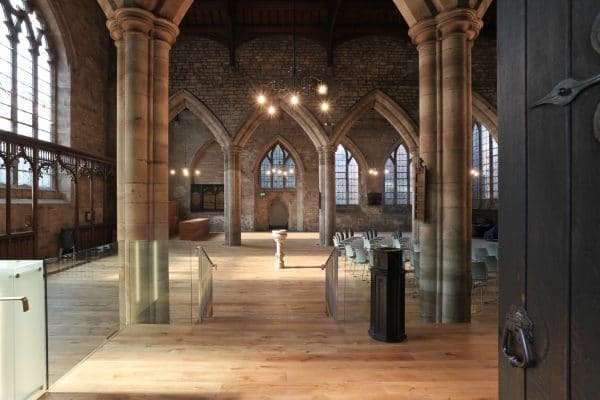 The building still operates as a place of worship, but now is also a venue for concerts, meetings, classes, exhibitions and private functions. 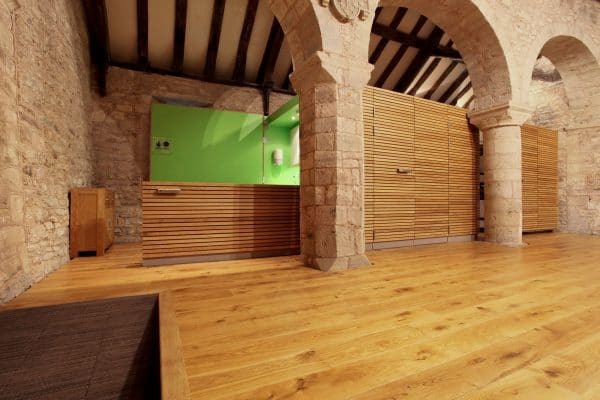 This has secured the future of this Grade I listed building for the local community and the nation. Heat, light and wire the building for sound and vision. None of the fabric of St Andrew’s needed to be changed. It was resplendent with age, beauty and historical significance. 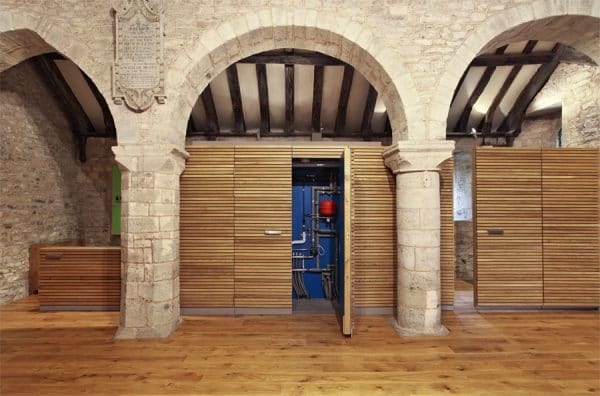 The project only sought to add what was missing, to allow this building to once more take its place at the centre of the community it was designed to serve. Essential facilities. 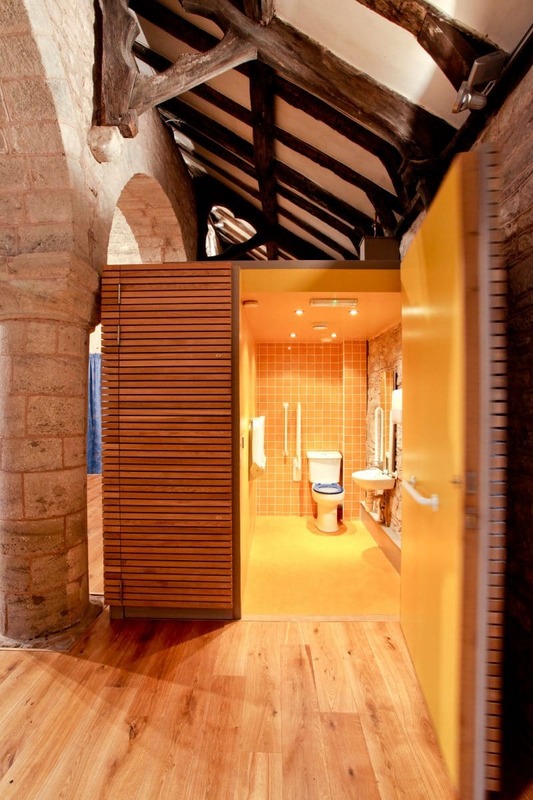 Many churches have space that can be used, but lack basic facilities. 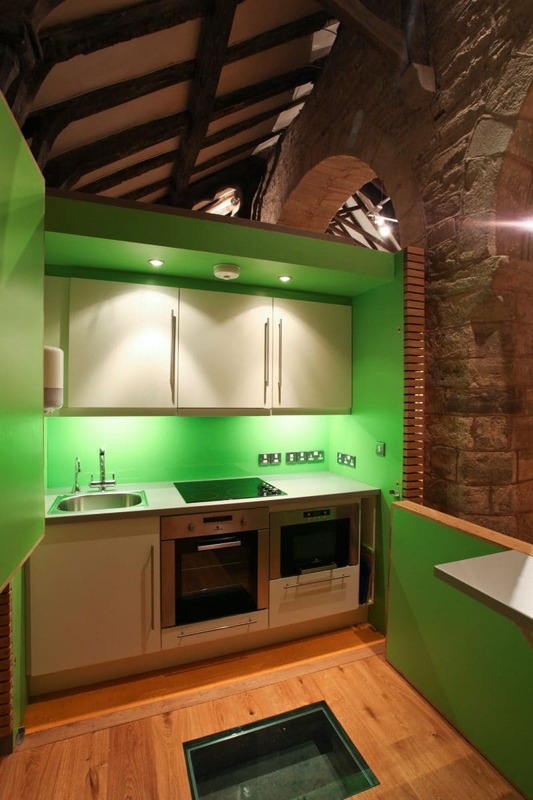 At St Andrew’s, the design elegantly provided a kitchen, servery and a toilet. 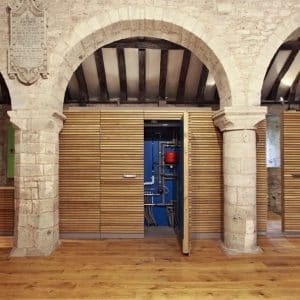 The scheme also subtly upgraded the access which now allows everyone to enter and use this gem of a building. Our clients are delighted with their event space. 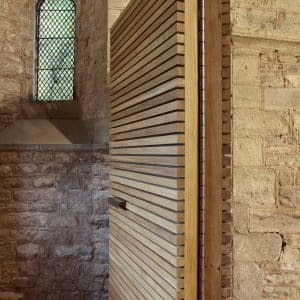 After seven years of hard work, their vision to transform an underused church into a space that the whole community can use has been realised.